We’re pretty confident that at least 85% of you readers most recently watch a rom com at home versus in the theaters. I know for me, it was probably a re-run of Bring It On on Vh1 that I physically could not get myself to turn off. I all but dropped everything on my schedule upon seeing that How to Lose a Guy in 10 Days was available on Netflix, and if you really think about it, the streaming service has been adding more and more to their roster – films like Mamma Mia, Must Love Dogs, No Reservations. In doing this, Netflix can clearly track how this type of film does as far as viewer popularity. They were seeing the streams and continually made content available reminding viewers of the beauty that is romance + comedy. 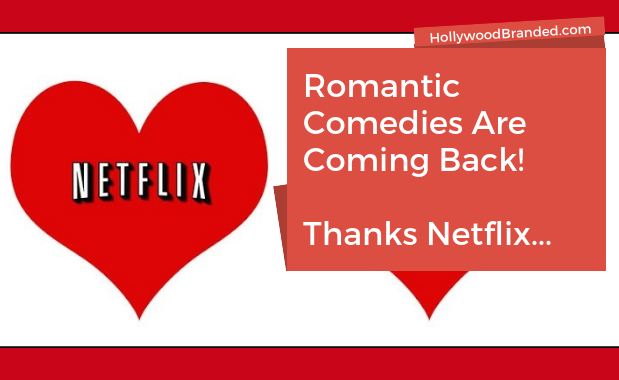 In June, Netflix released a press release saying that 80 million of their subscribers watched love stories in that past year so it’s no surprise that this motivated Netflix to push out their own romantic comedies. "We are aware of what people are watching and how much they watch it and we notice that people are watching a lot of rom-coms. Even, like, the [worst] ones that are out there," Netflix's director of original film Matt Brodlie told The Hollywood Reporter. So safe to say that their subscribers’ viewing patterns made creating Netflix-original romantic comedies a pretty safe venture for Netflix. "It just was a great opportunity for us to jump into a place where people weren't doing too much," Brodlie added. "If you talk to any agent in town over the last two years, we've been banging our drums saying, 'Send us your rom-coms!'" We know that 90% of Netflix’s customers regularly watch original programming, with an average of 9 million viewers per original film. Did you get that? Netflix actually quoted a viewership figure - amazing (and very rare)! And that figure means that Netflix's average movies are equal to at least that of the top 35 films that are released theatrically. And without the marketing budget attached. That's some mega return. Yes, Netflix literally called the summer of 2018, The Summer of Love. They took the summer window to release 6 original romantic comedies. These comedies had great casts – Kristen Bell (Like Father), Gillian Jacobs (Ibiza), Joey King (The Kissing Booth), Zoey Deutch (Set It Up). And these comedies delivered. Like most romantic comedies were all of them critically blessed? No. But were they entertaining and funny? Yup. Of those Netflix subscribers that watched The Kissing Booth, in the film’s first month one-in-three viewers say they’ve watched it more than once, which is 30% higher than the average movie re-watch rate on Netflix. After its premiere, Netflix CEO Ted Sarandos told Vulture that the film was, "one of the most-watched movies in the country, and maybe in the world." As E! 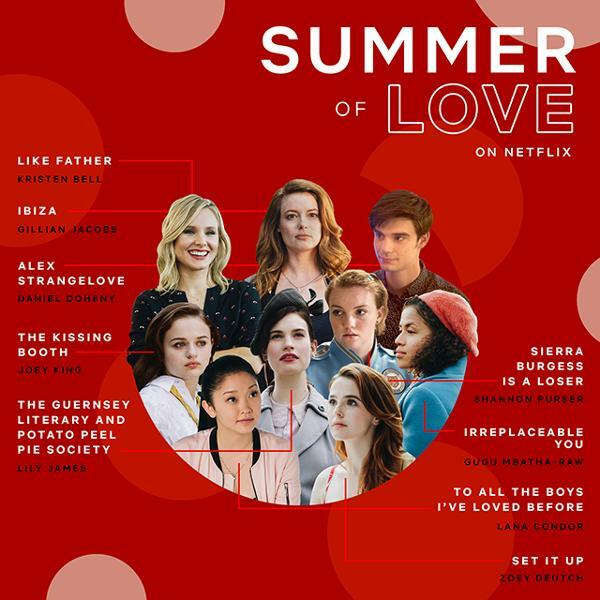 Online reports, Set It Up (released on 6/15) and All The Boys I’ve Loved (released on 8/17) were two of the six that did receive critical success and turned their leads into stars. Set It Up’s Justin Powell landed a starring role in the Top Gun sequel, and To All The Boys I’ve Loved Before’s Noah Centineo saw his Instagram followers jump from .8 million to 13.4 million in less than two months. There are few genres as brand friendly as romantic comedies. Their demo hits pretty much all females 13+. Their content is clean (mostly ;), enjoyable, and as we can see from Centineo’s growing social media, engagement-worthy. They’re typically set in present day making it easy for brands to include new products, and they also make great promotional partners. 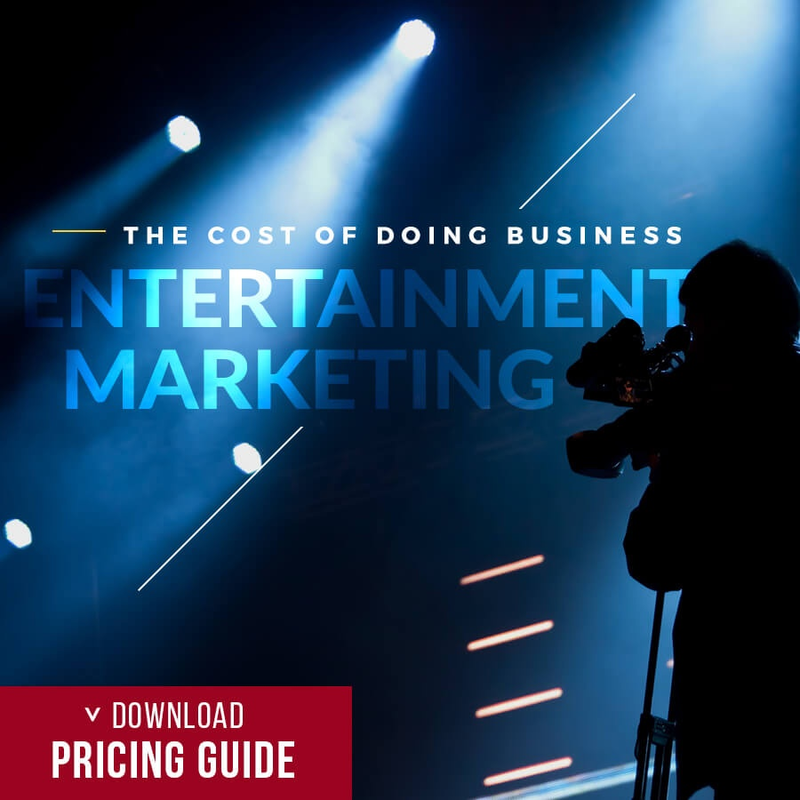 IF Netflix believes you bring a great audience with your marketing program partnership. Netflix did it. They brought back a dying breed. They saw the need, capitalized on it, and found success which seems to be a pattern for Netflix. However, if the streaming giant didn’t come in to save the day, you can bet that Ariana Grande’s latest music video would have! 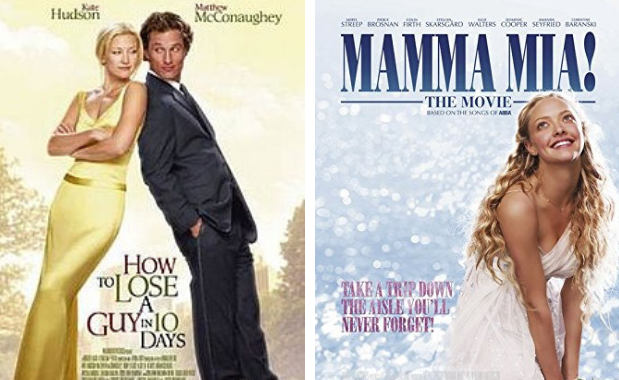 The nostalgic montage of the 2000’s best romantic comedies brought out the teenager in all of us, reminding Hollywood that Netflix is playing the right game and there still is very much a place for romantic comedies. 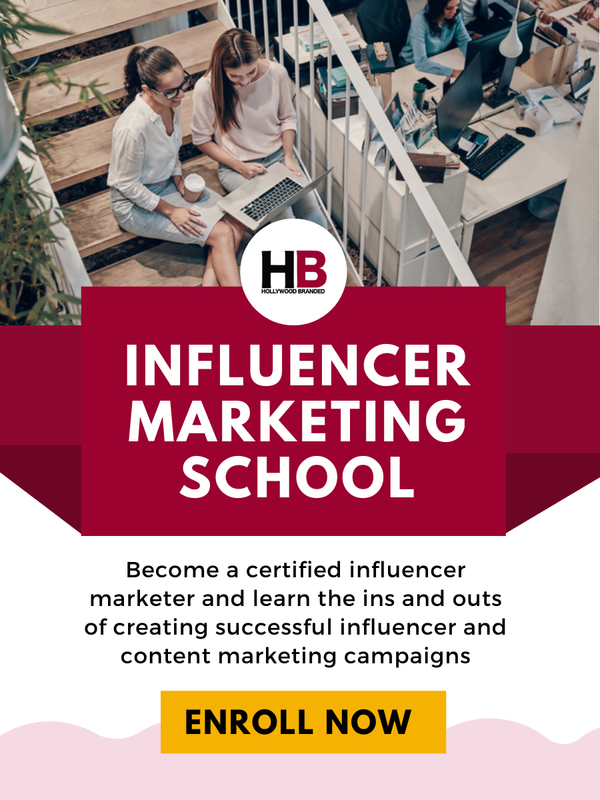 Ready To Become Part Of The Content? Opportunities in movies - including Netflix movies - abound. 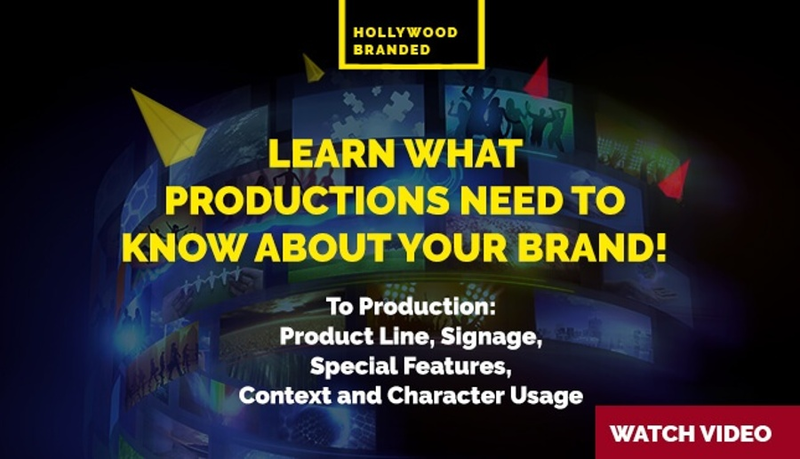 And film partnerships inclusive of product placement typically mean that your brand is seen around the world by a global audience. 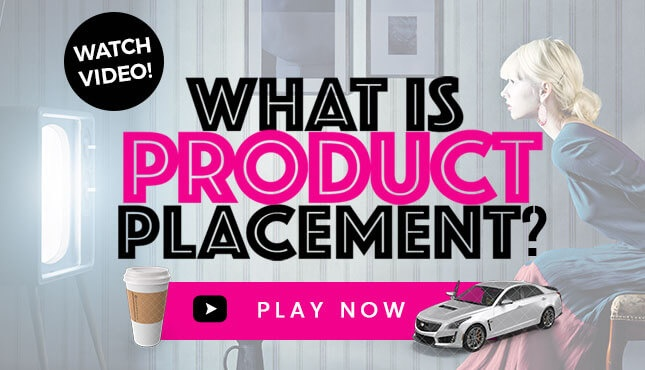 And be sure to watch our Product Placement video that walks you through how the process works!